We use state-of-the-art methods and technology to make sure every single Eton shirt is crafted to perfection. Sometimes only the best is good enough. We use the finest cotton in the world, Extra Long Staple, for our performance shirts. Quality looks good –anywhere, at any time. That’s why we pioneered the Eton signature nish, a crease- resistant attribute, as early as 1992. The Eton signature collar is made with no less than seven individual pieces, including woven interlining. Because quality, comfort and style matters. By working with European factories only, we make sure that our design team is close to the production—ensuring quality, at every stage.  We create all our fabrics from scratch to guarantee the high performance that characterises an Eton shirt. It was the year sliced bread was invented. And the best thing since. In Gånghester, Sweden, David and Annie Pettersson founded Eton. They had a dream: making the best shirts in the world. And through dedication, craftsmanship and daring innovation, that’s what they set out to do. We’ve had 90 years to perfect our craft. To us, every last detail is important, from the fabric to the buttons and the points of the collar. That’s why we can proudly say that we make the best quality shirts. A lot has happened since 1928. But some things stay the same. And if you ask us 90 years from now, you know what we’ll say: We make the best shirts in the world.